These are heady times at Highbury. Gobsmacked Gooners have been 'giving it large' over their glorious Double victory after three long years of playing bridesmaid to their northern nemesis. 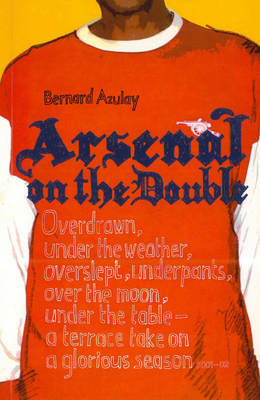 Arsenal on the Double is an intimate account of the most exciting season since the inception of the Premier League, seen through the experienced journalistic eyes of a lifelong Arsenal fan - one of the legions of loyal, hail-or-shine fanatics who follow their club over land and sea (and Leicester!). Any lifelong addict of the beautiful game will be able to relate to this roller-coaster ride of tribulation and ultimate triumph. The author takes us from the shock of discovering the debilitating cost cost of season-ticket renewals on the day of last year's FA Cup final disaster to the usual evangelical early-season euphoria. He traces the Arsenal's almost annual November inconsistency, which was transformed by a New Year's resolution to win - a resolution resulting from their Christmas-season encounters with card-happy referees. Go with the Gunners on an emotionally exhausting, but joyful journey, as they romp all the way back to another FA Cup final in Cardiff. Delight in the dramatic denouement of the Arsenal's third Double when Old Trafford becomes a Gooner's Theatre of Dreams and their record-breaking season reaches its ultimate climax on the enemy's turf.